Head of the Russian Orthodox Church Patriarch Kirill denounced as "heresy" those human rights that he said contradicted the Bible, and proclaimed fighting them the goal of his Church, the Interfax news agency reported Sunday. "We are seeing how efforts are being made in many prosperous countries to establish by law a person's right to any choice, including the most sinful ones, those that contradict God's word, the concept of holiness, the concept of God," Patriarch Kirill said after a Sunday service at Moscow's Christ the Savior Cathedral, Interfax reported. He did not specify which human rights he found offensive, but called for Russian Orthodox believers to "defend" their faith, the report said. "Today we are [dealing with] a global heresy of worshipping the human, the new idolatry that removes God from human life," Kirill was quoted as saying. "Nothing like that had even happened on a global scale before. It is specifically at overcoming this present day's heresy, the consequences of which can become apocalyptic, that the Church must aim the force of its protection, its word, its thought." 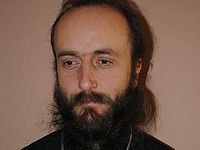 "We must defend Orthodoxy," Kirill said, Interfax reported. Russia is a secular state, according to its Constitution, but the Orthodox Church has been gaining increasing prominence and protection by the state in recent years under President Vladimir Putin's rule. The patriarch's remarks clashed with Russia's laws, critics charged. "The spirit and letter of Russian laws are determined by human rights and freedoms, and not by 'God's word,'" Boris Vishnevsky, a St. Petersburg municipal lawmaker from the liberal opposition Yabloko political party, said in a blog on the independent Ekho Moskvy radio station's website. "At least that's what it says in the constitution so far." The Church "must operate within the limits of the Constitution and the laws," he said. "Because that's how a secular state works, where not everybody is a believer, and not every believer is an Orthodox Christian, but everyone is a citizen." 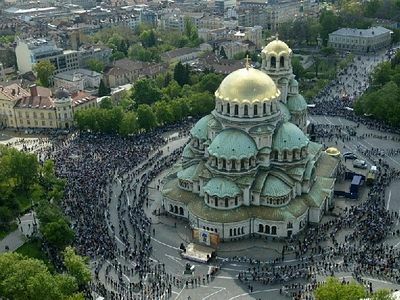 Patriarchate of Bulgaria: On the Pan-Orthodox Synod and the Appearance of Heresy as a Gift from God so that Orthodoxy can be proclaimed. 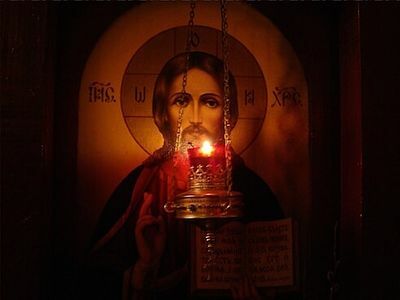 Dr. Desislava Panayotova Patriarchate of Bulgaria: On the Pan-Orthodox Synod and the Appearance of Heresy as a Gift from God so that Orthodoxy can be proclaimed. "This book is required reading for every Orthodox missionary, or, rather, every Orthodox Christian, for there is no Christian who does not seek to be made whole and bring wholeness and spiritual health to his neighbor." Glory be to God. I am a Roman Catholic and this is sound, but unheard of popularly. The definition of human rights changes with the wind these days. Secularists are tossed about like waves in the ocean, following trends and an ever-changing culture. God does not change. Glory to Orthodoxy!